Dr. Rudnyk is a proud graduate of the University of the Pacific School of Dentistry located in San Francisco, California- Class of 1981. Prior to receiving the Doctor of Dental Surgery degree there, he also received a Bachelor of Science degree from Arizona State University. Dr. Rudnyk has a passion for improving people's lives. By achieving better dental health for his patients for more than 30 years, he has witnessed increased self-confidence, well-being and happiness. This success has been a strong motivator for Dr. Rudnyk's commitment to excellence in dentistry, compassion for his patients and dedication to continuing education. Dr. Rudnyk maintains membership in the American Dental Association, Arizona State Dental Association, Central Arizona Dental Society and the University of the Pacific School of Dentistry Alumni Association. Dr. Rudnyk is a native Arizonan and together with his wife, Lee Ann, they thoroughly enjoy the outdoor lifestyle afforded by living in Arizona. Dr. Beverly Gross is a graduate of University of the Pacific School of Dentistry- Class of 1991 in San Francisco, California. Before that, she received her Bachelors Degree from University of CA in San Diego. Dr. Gross has been with the practice since October 2001. The staff really loves Dr. Gross because of her loveable personality! She's a masterful artist at dentistry. Dr. Gross has been married to "the other" Dr. Gross, an ophthalmologist for 25 years and they have 2 sons that are attending Brophy College Prep and Barrett Honors College at ASU. Holly has been with Drs. Rudnyk and Gross since June 1998. She started as a sterilization tech, then moved to a dental assistant and is now up front working with the Doctors on planning treatment along with making financial arrangements for patients. With over 2000 patients in our practice, she keeps busy with dental insurance duties, scheduling and keeping patients happy. You will often here a boisterous laughter in the office- that’s Holly! 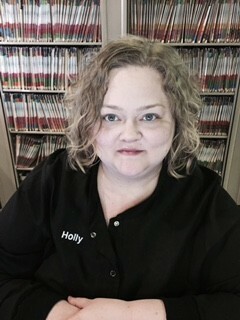 Holly has been married for 11 years and enjoys spending time with family and her two dogs Moose and Eric. Hilda has been with us since 2006. She works with our hygienists to coordinate their daily schedules among many other duties to keep the office running smoothly. Hilda has been in the dental field for 15 years but has made her home here with us! Hilda loves spending time with her 2 children, her Yorkie Daisy and her extended family. She loves traveling especially to Rocky Point and Long Beach. Denise has been with Drs. Rudnyk and Gross since 1993- our longest employee! 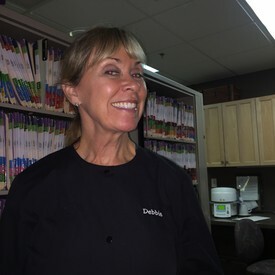 Her dental assisting skills are top-notch and she really has an ability to converse with patients on a personal level. Denise has been married to her husband for 25 years and they enjoy family time and their lovable dog Mr. Vick! 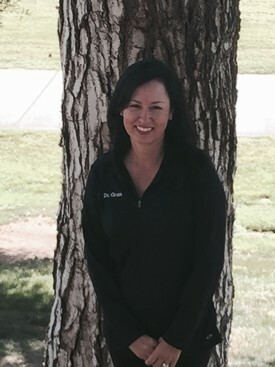 Nicole has been with the practice since February 2012. 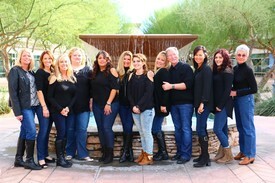 She is a graduate of Rio Salado Dental Assisting School as of December 2011. 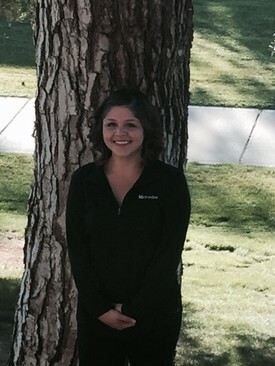 Nicole works primarily with our dental hygienists. 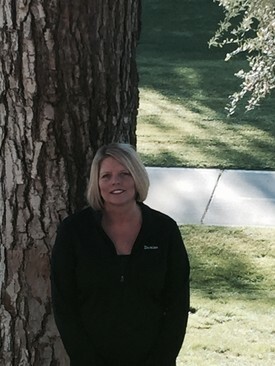 She works very hard to keep everything running smoothly in the back office so your visit is enjoyed at the office. You will meet Nicole as she is seating you for your dental hygienist, taking x-rays for you or assisting the Doctor with an examination. Nicole is getting married in August 2015 and just bought her very first home in North Phoenix! 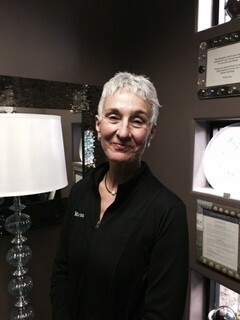 Mercedes has been with the practice since March 2012. She is a graduate of Altrain Dental Academy as of December 2011. 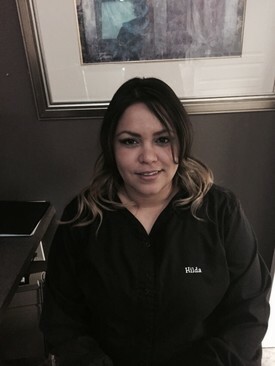 Mercedes is a skilled dental assistant and you will find her a joy to be around. Mercedes is going to community college and hopes to be accepted into a dental hygiene program once she finishes her pre-requisite classes! 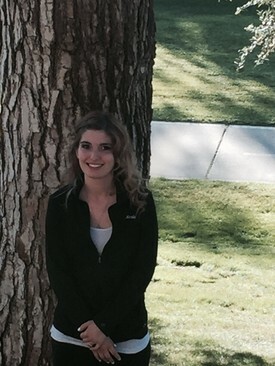 Mercedes became engaged late 2014 and is busy in her spare time working on the event. She enjoys also spending time with her two pups! Connie graduated from the University of Minnesota in December 1980 with a degree in dental hygiene. She has been working as a dental hygienist ever since. She's also a fitness instructor and is gold certified through the American Council of Exercise since 1986. In addition she has certifications in ballet and kickboxing. Connie is married to Dr. Howard, a veterinarian and they have 2 grown sons that they enjoy spending time with. Marion has been practicing dental hygiene since the 1970’s. She enjoys seeing her patient get back to optimum dental health and works with them to achieve that! Marion has been married to John for over 25 years. They enjoy their summers off to travel up to Northern Arizona where they hike, camp and for many years were campground hosts! Deb has been practicing dental hygiene since 1979. She’s very skilled at her work and we have enjoyed her here for many years. Deb has 2 children who both attend college. She’s also married to Cliff and they enjoy hiking, music and going on their annual “jam cruise”!